Thanks so much for stopping by. In case you haven’t heard, I started a new blog and soon will have some other snazzy additions as well. I’ll still be posting here periodically, but I’d love to have you come over and visit me at TravelingwithPurpose.com and tell your friends, too. I’m sharing regularly over there on these topics and even more. Please sign up for my newsletter there, so you won’t miss a thing. I hope to see you soon! You can also follow and like TWP on Pinterest, Facebook and Twitter. Here’s a bit of autumn inspiration for today. This is a bench at the former home of the great American poet, Robert Frost. 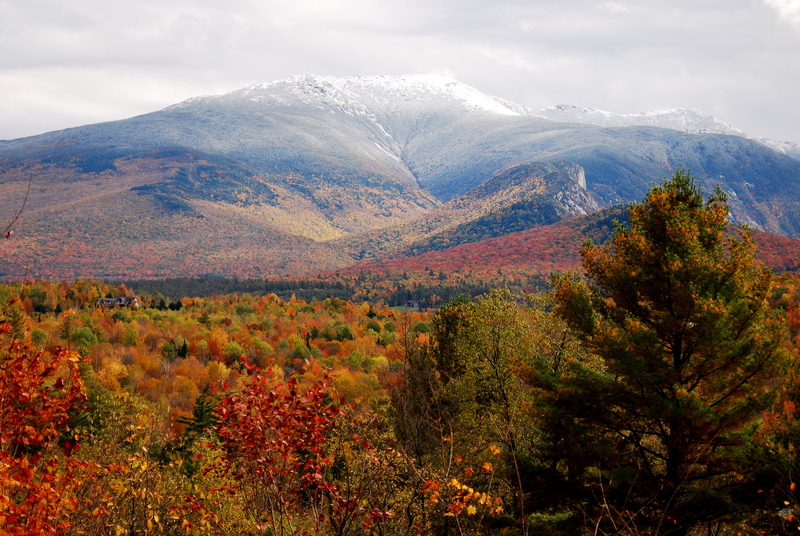 And this is the view from his front porch out onto the mountains of New Hampshire. Now wouldn’t that inspire you to write like a poet all the time? Do you have plans for Thanksgiving? We’ll have lots of family time with both sides of the family. Have a blessed holiday!